‘Brother against brother’ ‘Green against Green’ ‘are we finally seeing the end of Civil War politics’: there are many familiar clichés about the conflict that ripped the revolutionary movement asunder in Ireland between 1922-23 but there is much less understanding of how, and why, it happened. The view that partition was at the root of the split is still widespread, while others regard that idea that a war had to be fought over symbolism as both tragic and crazy. Tim Pat Coogan for example, has described the war as ‘one of the most superfluous and wasteful conflicts experienced by man since the war between Big Enders and the Little Enders that Dean Swift described in Gulliver’s Travels’ though his own work has firmly laid the blame for this strife at de Valera’s door. Irish academic historians have tended to take a broadly pro-Treaty view, with many clearly admiring the accomplishments of men like Michael Collins, Arthur Griffith and Kevin O’Higgins. Indeed O’Higgin’s description of he and his colleagues as ‘eight young men in City Hall, standing in the ruins of one administration, with the foundation of another not yet laid, with the wild men screaming through the key holes’ stands for many historians as an explanation of what was at stake in 1922. This view perhaps reached its apogee in Tom Garvin’s 1922: The Birth of Irish Democracy (1996) in which the war was explained as primarily a conflict between democrats and potential dictators, with the Anti-Treatyites an irresponsible ‘public band’ similar to the nascent fascist movements in contemporary Europe. Owing more than a little in its inspiration to P.S. O’Hegarty’s classic The Victory of Sinn Féin (1924) Garvin’s book was published around the same time that Neil Jordan’s Michael Collins was enthralling Irish audiences. While celebrating the guerilla war against Britain, Jordan’s movie was clear that the Treaty was the best possible option available in 1921. The continuing popularity of Collins as a historical figure means that majority opinion in nationalist Ireland remains vaguely pro-Treaty (Fianna Fáil supporters want to believe Collins would have found a natural home in their party: many republicans, especially those from Northern Ireland, agree that Collins had no other choice in 1921). In historiographical terms however, the pendulum has begun to swing towards a more nuanced understanding of the Anti-Treaty position. John M. Regan’s The Irish Counter-Revolution, 1921-1936 (1999) illustrated how anti-democratic ideas and methods were often embraced by the Pro-Treatyites, while articulating strongly how the British threat of ‘immediate and terrible war’ made a genuinely free choice by the 26-county electorate impossible in 1922. In essence Liam Mellow’s argument that it was not the ‘will of the people’ but the ‘fear of the people’ that secured a majority for the Treaty contained much truth. Joe Lee has also noted how too often Irish commentators forget that the Civil War was not simply about ‘green against green’: the most powerful empire in the world was directly involved in both causing the conflict and supplying military equipment to the side it wanted to win. The British were just as obsessed by symbols such as the Oath as were the Irish. Diarmaid Ferriter’s RTE series The Limits of Liberty while noting some of the Pro-Treatyites accomplishments, was more concerned at showing how their conservatism shaped the new state, a state that failed many of its poorest citizens miserably. Many people however, are less concerned with historiographical debate and more interested, understandably, in what actually happened. Michael Hopkinson’s Green Against Green: the Irish Civil War (1988) stands as the best general history of the conflict. But John Dorney’s excellent new e-book is both the best introduction to, and overview of, the war that I have read. It would make a great textbook for both second and third level students, while its use of material that has been published in the last twenty years means that even those familiar with the war will discover much that is new. Dorney, quite simply tells the story; of the split in the IRA and Sinn Féin over the Treaty, the debates which followed, the often chaotic drift to war, and the fighting itself. There are particularly vivid descriptions of combat in Limerick and Waterford in the early stages of the war, and of the guerilla conflict that emerged later during 1922. A host of interesting but often relatively little known characters (Ned O’Brien, Paddy Paul, Connie Mackey) are introduced to the reader and nastier aspects of the conflict, such as the ‘dirty war’ in Dublin and the widespread use of mines to kill large numbers of Free State troops are well described. So too is the importance of experienced fighting men, both 1916-21 veterans or ex-British solders, to both sides. Many of the debates that I have referred to are referenced by Dorney, but he concentrates on telling the story of the conflict and never loses sight of the many human tragedies that it caused. There are a number of important points made by Dorney regarding the relative lack of attacks on civilians by either side and how the Pro-Treaty side had almost complete support from the most powerful in the new state. He also correctly notes the widespread rural and urban class conflict taking place, but I think he is right to describe most of this as ‘parallel’ to the war rather than central to it. Labour’s position in 1922 was still verbally republican: their ranks contained both pro and anti-Treaty supporters. I think more might have been made of the importance of the British threat of war in 1922 and of the Catholic Church’s condemnation of the republicans. Perhaps the success of the government’s executions policy has been overplayed also: it may be that the shootings stiffened republican resistance in some areas and they certainly contributed to the maintenance of an Anti-Treaty tradition. We still lack a complete list of Civil War dead and the figure given for IRA fatalities seems high to me. But these are minor criticisms of this fine work which concludes with some very valid points about memory and commemoration. 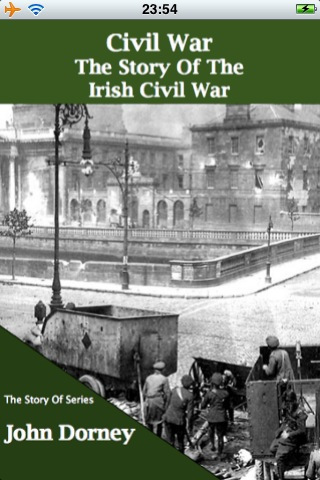 The Story of The Irish Civil War is available to buy on Amazon here. Dr. Brian Hanley is the author of; The IRA A Documentary History, 1919-2005, The IRA: 1926-1936, and with Scott Millar, The Lost Revolution, The Story of the Official IRA and the Workers’ Party. He teaches History at St Patrick’s College, Dublin. 4 Responses to "Book Review: The Story of the Irish Civil War"
Any plans to bring this book out in a format accessible to Luddites like me who believe Kindles are the work of the devil and who only use mobile phones for phone calls or texting? Would be great to be able to get this book in book format too. Hi Kieran, yes, we should have print version out eventually, we’ll let you know.